The current-generation iPad Pro screens are available in the 10.5-inch and 12.9-inch variants and feature Apple’s ProMotion display. This technology has never been seen in an Apple-branded tablet and another fun fact is that the iPhone X happens to be the first iPhone to feature an OLED screen. Put these products side by side and you have a phenomenal combination of screens. This is the reason both products have won Display Industry awards and we will be talking more about them here. 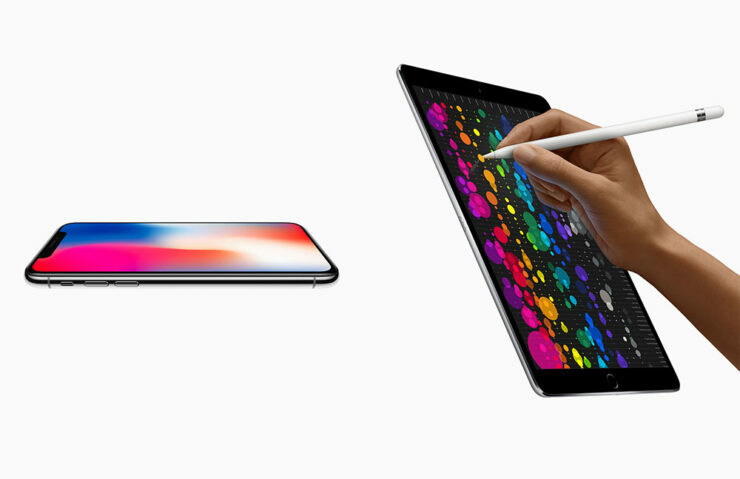 The iPad Pro’s ProMotion technology is highlighted as one of the main reasons it won in the category, with its ability to adapt between the 24 and 120Hz refresh rates. According to AppleInsider, the slate’s display was given the following praise. As for the iPhone X, it is the first to fulfill the vision of a smartphone that is entirely screen, with no physical elements, keyboards, or dedicated function buttons. While that is not entirely true since the notch is still present, the iPhone X does not feature a chin like most devices flagship competitors and is the first handset to provide a screen to owners that melts towards the edges. Just in case you didn’t know, the 5.8-inch Super Retina display features a pixel density of 458 PPI and according to the committee that was responsible for giving out the awards, it is the first OLED panel to match the standard set by prior iPhone generations. It has true black shades, a million-to-one contrast ratio, and HDR support for Dolby Vision and HDR 10 also praised. Alongside these products, we have the LG Display UHD Crystal Sound OLED, a television that has a speaker integrated into the display panel. This will allow sound to emanate directly from the display rather than from the sides. There was also the Sharp 70-inch 8K LCD TV, which is said to be the first TV to offer full compatibility with 8K display technologies. Let us wait out and see which product wins the Display Industry awards next year.